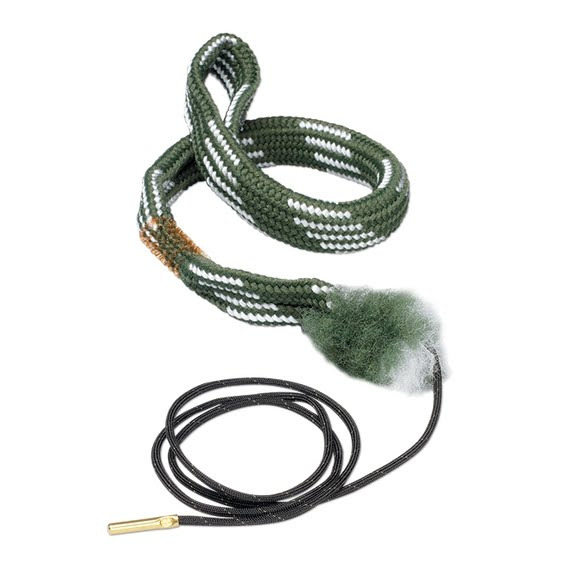 Make cleaning your .22 pistol imple, fast and easy with Hoppe'sBoresnake! One pass loosens large particles, scrubs out the remaining residue with a bronze brush, then swabs it all spotless with a cleaning area 160x larger than a standard patch. Make cleaning your .22 pistol imple, fast and easy with Hoppe&apos;s Boresnake! One pass loosens large particles, scrubs out the remaining residue with a bronze brush, then swabs it all spotless with a cleaning area 160x larger than a standard patch. The worldÕs quickest, three-step bore shine.